Binaural beats have become a popular tool for meditation and spiritual work, as they help the body and mind to relax, making it easier to enter a deep state of relaxation. 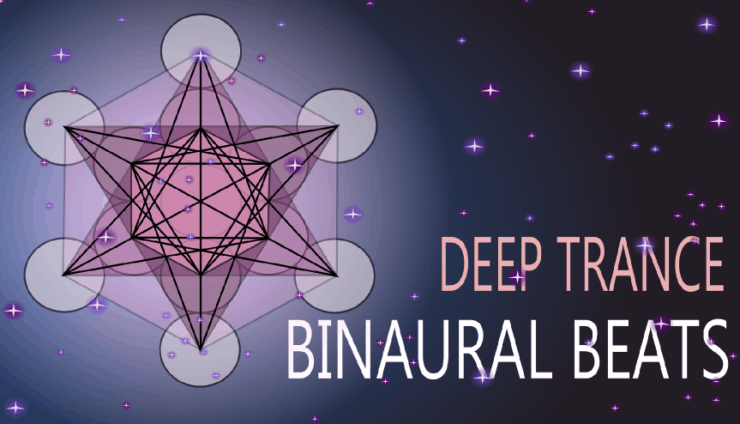 These binaural beats are also used to promote lucid dreaming, astral projection and hypnosis, as they lowers the brains brainwaves, and thereby manipulate the mind to relax. One of the great benefits of these beats, are their ability to help us enter a deep state of relaxation and trance. Our brain automatically syncs with the frequencies it hears. This causes the mind and body to relax, making it a great tool for meditation, spiritual work and sleep. It can sometimes be difficult to relax and calm the mind and body when we meditate. We can have a hard time letting go and stop worrying about tomorrow and reflecting on the past. This makes it very difficult for our mind to relax, as we never live in the present moment. This is a common problem when it comes to meditation, as we are not used to disciplining the mind, and we have little control over our thoughts. Binaural beats can help naturally calm the mind, so that we gradually enter a deeper and deeper state of relaxation. This will not happen all at once, but as we continue listening to the brainwaves, our mind slowly starts to calm down. So here are some binaural beats moving from theta to a low delta, with a base frequency of 180. These beats will help your mind center and enter a deep state of trance. So listen to this 2 hour long track when you do your meditate, and allow the beats to help you relax and calm your mind and body in a natural way. Remember to use headphones, or else the beats won’t work, as they consist of two slightly different tones in each ear. It is your own brain that creates the binaural beats.